Ah summertime!! Now is the time when I reflect on my past school year and look toward next year. I also evaluate the tech tools that I used in my class last year and see if I can find new ways to make social studies come to life for my students. 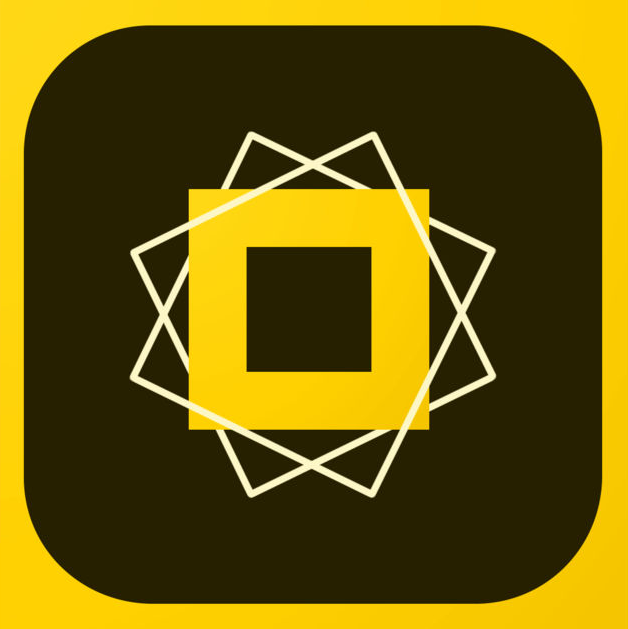 In comes the Adobe Spark Suite. I first came across Adobe Voice (now Adobe Spark Video) a few years ago. At the time, it was only available for iPad. 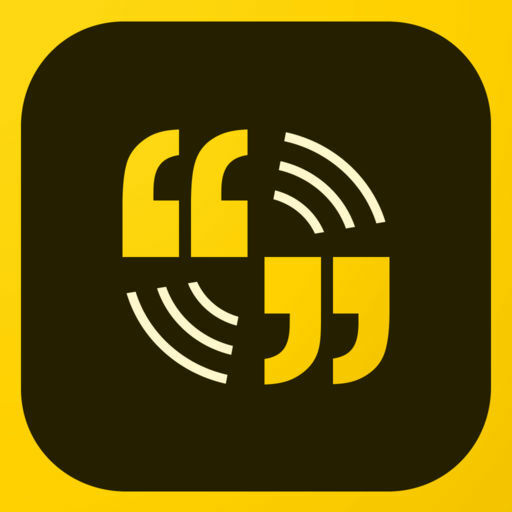 It was quite an extraordinary app and you can see my post about it here. The only drawbacks were that it was only available on iPads and it was difficult to share with others or upload to Youtube. At the time, I marveled at how great of a tool it was but then they went ahead and made it way better! So, as many of you know, Adobe is best known for making the software that helps you read PDFs (they actually do way more than that but it's probably how most people interact with their products). Now it seems that they are branching out! Add photos, icons and text to slides. Add your voice to your animated video. Choose from thousands of photos and dozens of songs that are fair use (no copyright issues). Change the layout of each individual slide to include more details, photos or icons. Add full page photos and insert captions directly in the page. Seamless integration of text within the photos (making your story look like it was created by a graphic design artist). Add text, links and videos to your story. Stunning design brings your story to life. Create social media images that fit the specifications of Facebook, Twitter, Instagram, Pinterest, LinkedIn and Etsy. Beautiful customizable font types and colors that match with the color palette and style of your post. Easily sharable on social media and in link form. Create an invitation to an inauguration, grand opening, funeral or trial of a historical figure or some other historical event. Create a wanted poster for a historical figure. Create an advertisement for a political party, movement, group, or other historical event. Create a book, CD or DVD cover for an historical event or person. What would a Facebook post from Benjamin Franklin look like? What type of image would Genghis Khan upload to Twitter? Insert historical quotes from historical figures into an image of them. Create a postcard from a famous civilization or country. Create an image for the opening of a museum exhibit highlighting the historical theme, event or person your class is learning about. Tell a Hero's Journey story in animated video format of a historical person or movement. Create a recruiting poster for a war or political movement. These are just a few examples that I thought of off the top of my head. I'm sure all of you extremely creative educators will find hundreds of other ways to incorporate the Adobe Spark Suite into your students experiences. Not all students will be able to use these tools (ie. if you don't have 1-1 devices and your student doesn't have an Apple device) however they are great tools to add to your toolbox. One aspect of 21st century skills is giving students the option to use whatever tool they feel comfortable with. 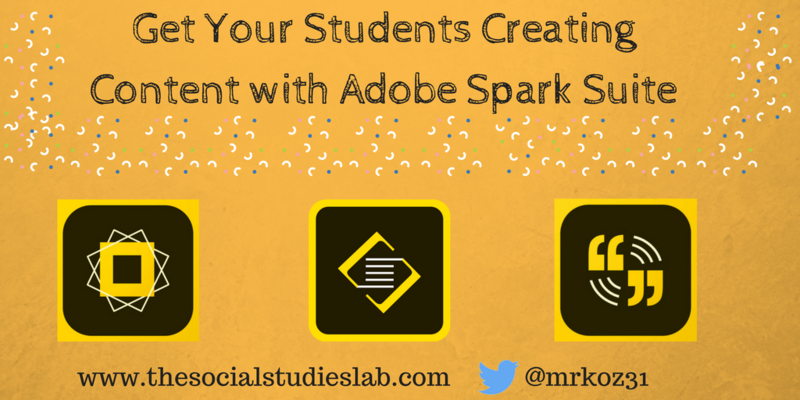 Adobe Spark is one more set of tools to add to your teaching repertoire. I can't wait to hear about all the great ways your students are using these tools!